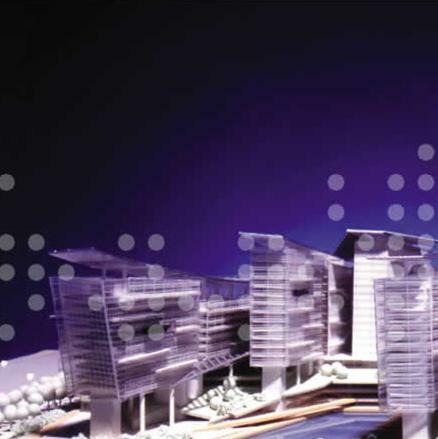 The project's Masterplan overall objective is to address the street frontage and the river frontage. Water is brought into this site to enable access by boat and to contribute to lowering the ambient temperature of the development (see below). • All carparking spaces are located in the basement in order to free up the ground level for landscaping and recreational use. By placing the cars in the basement, the building height can also be reduced. • Water is brought into the site to create internal views and to increase the waterfront recreational space (e.g. marina, waterfront promenade etc.). • The buildings fronting the water is elevated at ground level, freeing up extra space for recreational use. • Increase in building height to 70m. Informal discussions held with the Dept. of Civil Aviation suggests that there may be a relaxation in building height restrictions from 55m to 70m. Unbelievable price on Masterplanning in Ampang Jaya (Malaysia) company T.R.Hamzah Yeang, Sdn. Bhd..